Do you like the idea of Mail, the default email client in macOS, but find yourself unable to actually use it because of how much you love Gmail’s keyboard shortcuts? Me too. I’ve used Macs for years, but I’ve never given the default email program a chance, even though it’s lightweight, speedy, and nicely integrated into the OS. I want to press “e” to archive an email, or “#” to delete one, and j or k to browse emails. 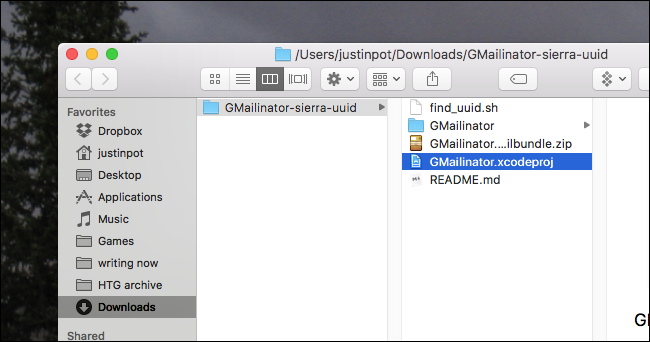 It turns out I’m not alone, because there’s a bundle called Gmailinator that adds exactly this functionality to Mail (sometimes called “Mac Mail” or “Mail.app” by users.) The problem: that bundle is four years old, and doesn’t work with macOS Sierra. Even worse: Apple also doesn’t really go out of its way to make installing bundles easy. Happily, there’s a version that is working, but to set it up, you’ll have to compile it using XCode. Don’t panic: it’s not hard, and the result is worth it. All we’re doing with this command is changing the “Enablebundles” toggle from “false” to “true.” Mail will not even check for bundles if this isn’t enabled, so make sure you do this. Next we need to head to the working version of Gmailinator, generously forked by Github user jgavris. 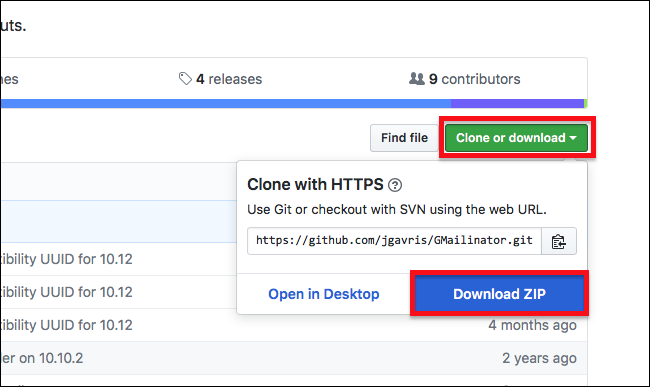 Click the green “Clone or Download” button, then click the “Download ZIP” button. Open the ZIP file to unarchive it. 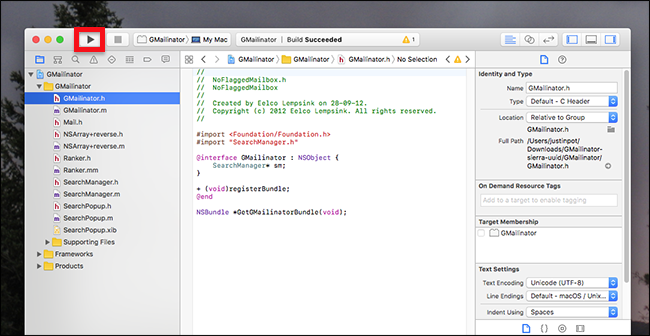 Next, close Mail, then open the file called GMailinator.xcodeproj by double-clicking it. From here you can explore the code, if you like, or you can click Play button at top-left to build and install the bundle. Launch Mail: if the build didn’t work, you’ll see an error message. Otherwise you should be able to use the Gmail keyboard shortcuts. You’ll find the bundle you installed in ~Library/Mail/Bundles/, but you’ll need to know how to access the hidden Library folder to get there. To remove the bundle simply delete this folder. Wondering which of Gmail’s keyboard shortcuts are supported by this bundle? Here’s a list from the GitHub site for the project. I tested them on the latest version of Mail as of this writing, 10.3, and all of these shortcuts were working for me. 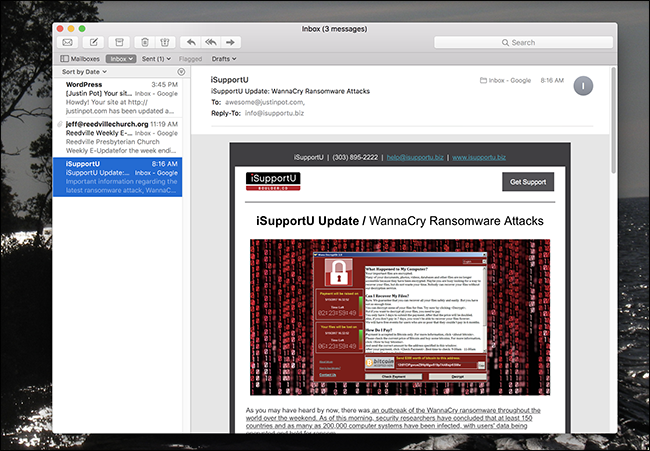 Enjoy your new Mac Mail setup. If you want to keep configuring Mail to your liking, consider stopping it from wasting gigabytes of space or organizing your email with smart mailboxes.